Look alive, athleisure lovers! 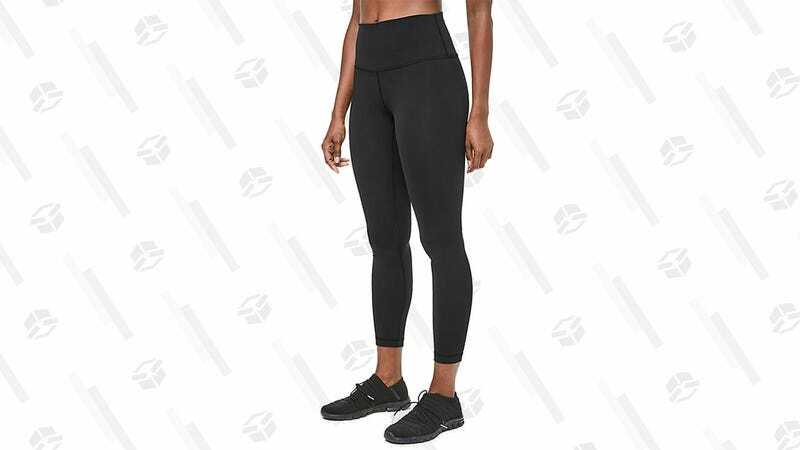 Right now, you can snag a pair of Lululemon’s legendary Wunder Under 7/8 Tights for just $35 at eBay. This is not a drill. To be totally honest, I would happily shell out these leggings’ regular retail price of $98 in order to swath my legs in a pair — they’re that good. The tights, available in five colors on eBay, feature a flattering high rise, and the material is relatively thick and sturdy compared to other leggings; I’ve bought several pairs over the years, and I’ve yet to throw any out over loss of elasticity, holes, weird smells, or any other common legging issues. In fact, I wear these leggings as pants in non-workout scenarios all the time in winter, which I know is controversial. But also I don’t really care because they look awesome and are incredibly comfortable. It’s important to note that the 7/8 style is a bit shorter than the regular Wunder Under, which means they actually fit normally on 5'5" me, though taller folks might want to consider how they feel about ankle length leggings. Otherwise, Lululemon leggings pretty much never go on sale, so get your $35 pair before they sell out.